Help protect our Earth and teach kids about caring for the planet. 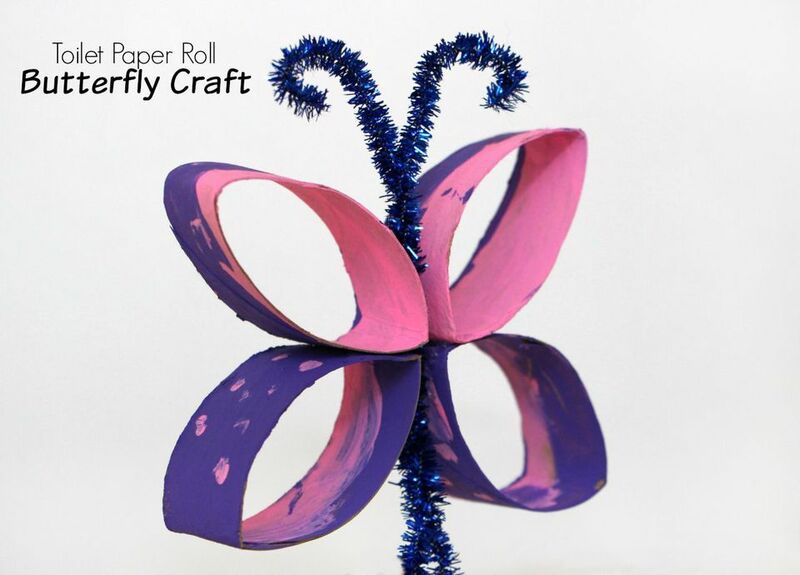 Start saving up all your paper towel rolls and toilet paper rolls for crafting! There are so many fun and imaginative ways to craft with these paper tubes! Kids love butterflies! They are pretty, whimsical creatures that capture their imaginations. This is the perfect craft for the spring and summer months. Put your toilet rolls to good use and add a little peanut butter and seeds for the birds. Wrap up this darling little owl friend to flutter around the house. By cutting paper tubes in half, you can create a fun race track challenge. This is a must-make craft for kids who are in love with the movie Frozen. Make these fun and festive confetti poppers for an upcoming party! These would make a great birthday party craft. Make and decorate these rain sticks to celebrate spring showers. These gorgeous favor boxes would be darling for a home decoration around the holidays or make them with your kids in the spring when all the birds are out in your yard. Add a little decorative tape to these paper tubes to make fancy bracelets! Does your child love TMNT? Make all 4 Ninja Turtles for a fun craft (don't forget their favorite food!). Make a black cat, complete with whiskers and tail, for a Halloween craft or really any day of the year. Use your paper tube to stamp perfect circles, just right for stacking and creating a snowman. These monster paper tubes are almost too cute to be scary. How darling are these sweet pigs? These would make such cute Valentine's to give out.